Michael "Mike" R. Bardoel, 68, of Rock Island, died Thursday, Nov. 7, 2013, at his home. Funeral services will be 10 a.m. Friday, Nov. 15, at Wheelan-Pressly Funeral Home, Rock Island. Visitation will be from 3 to 7 p.m. Thursday at the funeral home. Burial will be at Rock Island National Cemetery, Arsenal Island, with military honors by Moline American Legion Post 246. Memorials may be left for Honor Flight of the Quad Cities or Moline VFW Post 2056. 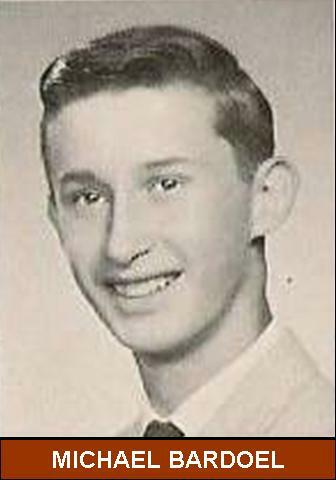 Mike was born on Nov. 22, 1944, in Moline, the son of Joseph A. and Doris "Ruth" Gilroy Bardoel. He married Diane Versluys on April 26, 1969; they later divorced. Mr. Bardoel was employed for more than 40 years at McLaughlin Body, Moline, retiring in 2007. Mike was a member of Moline VFW Post 2056 and Vietnam Veterans of America Chapter 299. He was very artistic, loved restoring classic cars, watching NASCAR and had raced stock cars for more than 30 years at the East Moline, Davenport and Blue Grass tracks. He will be deeply missed by his children and was known for his Christmas pool tournaments with his family. Survivors include his children, Mark (Kathy) Bardoel, Springfield, Angie Bardoel, Rock Island, and Lindsay Holmes, Moline; grandson, Ashton Faramelli; sister, Sandra Goller, Albuquerque, N.M.; and good friends, Gary Teichmann, Cindy Hawley and Richard Head. He was preceded in death by his parents.